This paper draws upon insights from industry thought leaders and our experience working with hundreds of F&A teams globally. 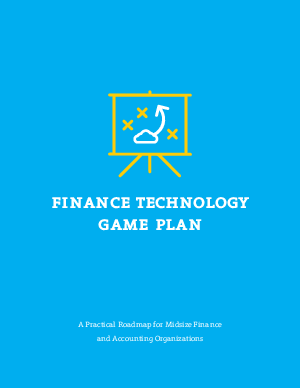 It covers shifts in the finance landscape, how technology can help address emerging challenges, and lastly, introduces a three-part game plan for modernizing your finance technology stack. Think of it as a future state to aim your organization toward, and a roadmap that minimizes risk while ensuring each step of the journey builds on the next.